The guest of honour was Karl-Friedrich Scheufele, Co-President of the Chopard Group and President of la Chronométrie Ferdinand Berthoud. 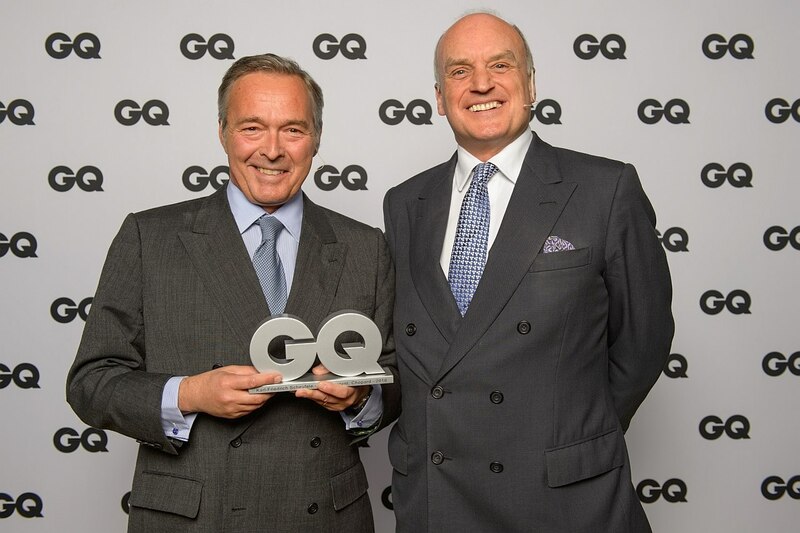 Nicholas Coleridge presented Mr. Scheufele with the ‘GQ Lifetime Achievement Award’ to commemorate his outstanding contribution to the watch industry. Karl-Friedrich Scheufele is known for his love of chronometry and fascination for the history of watchmaking. 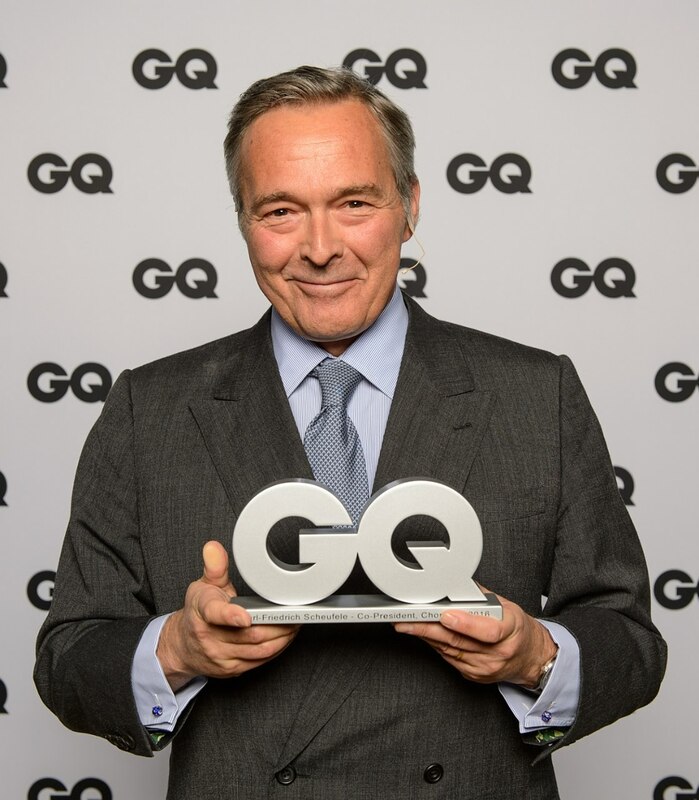 During his tenure as Co-President, he has transformed the company’s men’s watchmaking operation into one of the most respected manufacturers in Switzerland. Today, Chopard produces 80,000 watches a year and has over 2000 employees. Another of Mr. Scheufele’s outstanding achievements includes rebuilding a watch manufacture in Fleurier, which produces the L.U.C. collection of Haute Horlogerie. That company celebrates its 20th anniversary this year. A gentleman's gentleman, and a guy's guy! What has happened in the last 20 years is truly worthy of respect. And the fact that it is still a family firm is laudable in addition To many more awards, award worthy watches and many years in this vein!